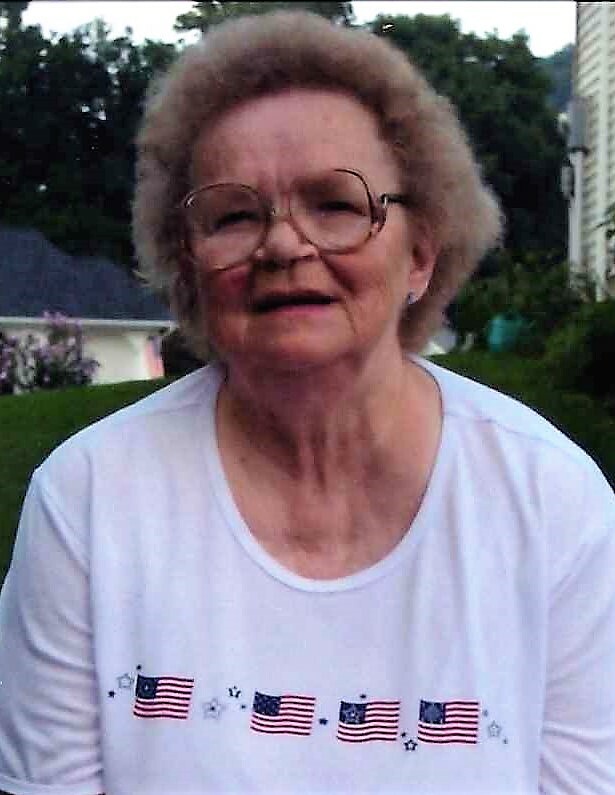 Jean Ann Cook, 84, of Warren, PA, passed away on Wednesday, November 21, 2018, at St. Vincent Hospital in Erie, PA.
Born on August 21, 1934 in Jamestown, NY, she was the daughter of the late Bert and Astrid Samuelson Johnson. She has resided in Warren, since 1963 and formerly of Kennedy and Jamestown, NY. Jean was a 1952 graduate of Jamestown High School. She was employed with the former Crescent Tool Company and Proto Tool Company. She was a customer service representative with National Fuel Company for 18 years, retiring in 1986. Jean was a member of the Warren American Legion Post 135 Ladies Auxiliary and attended North Warren Presbyterian Church. She was an avid Bingo player. Jean is survived by her 3 daughters – Sheryl Ash and husband, Mark, of Russell, PA, Paula Slagle and husband, Scot, of Warren, PA, Carol Johnson and husband, Ken, of Russell, PA; daughter-in-law – Cheryl Cook of Warren, PA; 1 sister – Barbro A. Smith of Jamestown, NY; 8 grandchildren and 2 step grandchildren; 13 1/2 great grandchildren, and several nieces and nephews. In addition to her parents, Jean was preceded in death by her husband, Paul L. Cook, Sr., and her son, Paul L. “Butch” Cook, Jr. , and 1 Sister – Margaret R. Glad. Friends may call at the Donald E. Lewis Funeral Home, Inc., 304 East Street, Warren, PA, on Sunday, November 25, 2018 from 4 -6 P.M. A funeral service will be held at the funeral home on Monday, November 26, 2018 at 11:00 A.M. with Rev. Mark Hurst, Pastor of Lander United Methodist Church, officiating. Interment will be in Clarks Corners Cemetery, Kennedy, NY. Those wishing to place a memorial may do so to North Warren Presbyterian Church, 200 S. State Street, N. Warren, PA, 16365, or to Paws Along The River, 212 Elm Street, Warren, PA, 16365. Email condolences may be sent by visiting www.lewisfuneralhomeinc.com. Those we love don’t go away, they walk beside every day, unseen, unheard, but always near, so loved, so missed, so very dear. Our sincerest thoughts and prayers are with you at this time. Aunt Jean was so loved by us all and we are thinking of you in this difficult time of loss. We love you all so very much! Thinking of you all at this difficult time. Sending our love and prayers. Remember all the good times you had with your Mom. Condolences to the Cook family. Our thoughts and prayers go out to your whole family. Psalms 147:3 says God, “heals the broken hearted, and binds up their wounds.” to May God bring you comfort and peace.